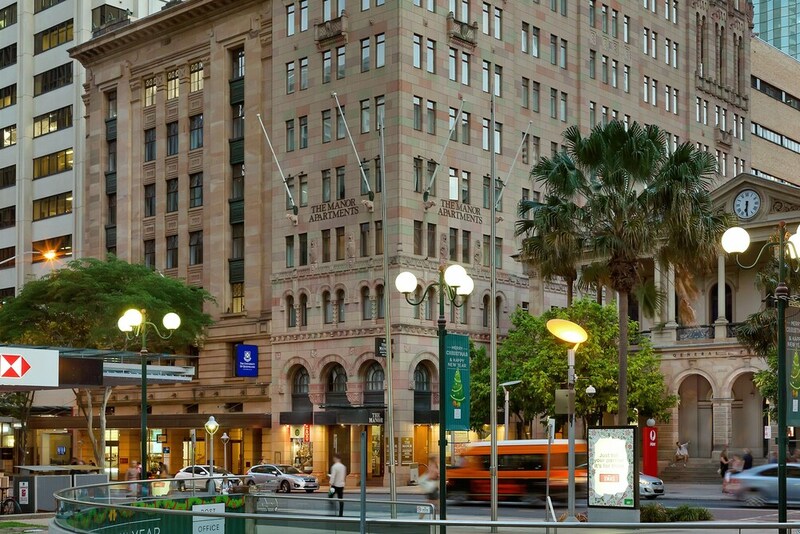 With a stay at The Manor Apartment Hotel, you'll be centrally located in Brisbane, steps from ANZAC Square War Memorial and St. Stephens Cathedral. This 4-star aparthotel is 0.2 mi (0.3 km) from Brisbane Customs House and 0.4 mi (0.7 km) from Eagle Street Pier. Make yourself at home in one of the 46 air-conditioned rooms featuring LCD televisions. Your room comes with a pillowtop bed. Complimentary wireless Internet access keeps you connected, and digital programming is available for your entertainment. Private bathrooms with showers feature complimentary toiletries and hair dryers. A complimentary buffet breakfast is served daily from 6:30 AM to 9 AM. Guests can enjoy a complimentary breakfast each morning. Public areas are equipped with complimentary wireless Internet access. This Art Deco aparthotel also offers tour/ticket assistance, complimentary newspapers in the lobby, and dry cleaning/laundry services. The Manor Apartment Hotel is a smoke-free property. A complimentary buffet breakfast is served each morning between 6:30 AM and 9 AM. Reception hours are 8 AM to 5 PM on Saturday; 8 AM to 2 PM on Sunday. For more details, please contact the property using the information on the reservation confirmation received after booking.